Orion Group has always been a frontrunner when it comes to humanitarian issues and relief efforts for affected people in crisis. 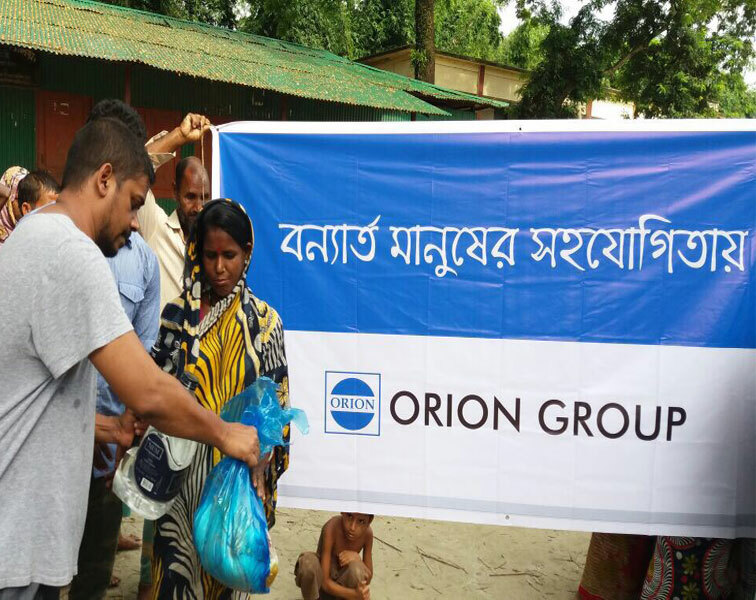 As a recent flood affected many districts in Bangladesh, Orion has stepped in to help out the flood victims who have been suffering from malnutrition, waterborne diseases, and an acute shortage of drinking water & food. Recently Orion served dry food and mineral water to more than five hundred people (500) flood victims in Ulipur & Chilmary in Kurigram.